Don’t know about you, but whenever I feel the need to rejuvenate, I head for the beach. As busy as life and work get sometimes, it’s hard to feel stressed when your toes are buried in sand and your lungs are full of the salty sea air. At the shore, it’s easy to forget about the things that can drive you crazy. Happily, early fall is a perfect time to head to the coast. The summer crowds have evaporated, giving you plenty of room to spread out on the sand, and the weather — absent July and August’s heat and humidity — couldn’t be lovelier. Best of all, hotels often boast their best rates of the season once kids are back in school. The only question is: Which beach and for how long? Here are a few worth a visit. One’s within easy driving distance of Pittsburgh if all you’ve got is a weekend, and a second requires just a short flight to Florida — perfect for a midweek getaway. 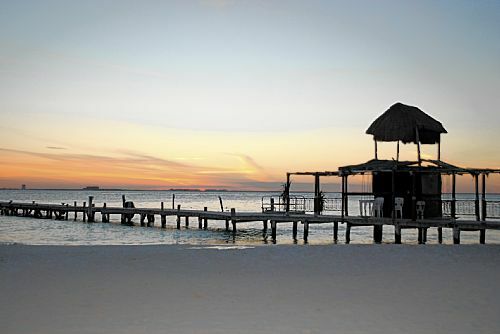 We’ve also included a sleepy island off the coast of Cancun, Mexico, for those of you with passports and a few more vacation days to burn through. Travel time: A 7-hour drive from Pittsburgh. The basics: The Jersey Shore is famous for its bustling boardwalks and seaside amusement parks (Morey’s Piers in Wildwood boasts more than 100 rides and amusements on three piers). 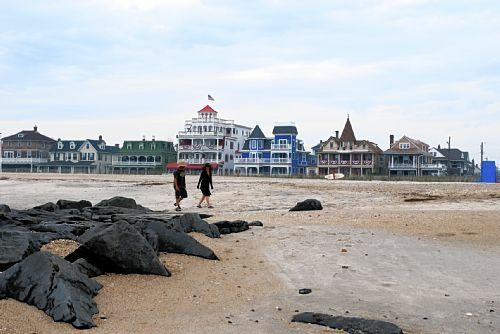 It’s a lot quieter in genteel Cape May, one of the oldest seashore resorts in the country and a National Historic Landmark City since 1976. Here, the exquisite late Victorian architecture gets people excited — everything from quaint gingerbread cottages and Stick-style beach houses to magnificent showpieces favored by famous actors and U.S. presidents. Rich in maritime history (it’s the eighth-largest fishing port in the U.S.), Cape May also is one of the East Coast’s top birding destinations and a great place from which to embark on a whale-watching tour. 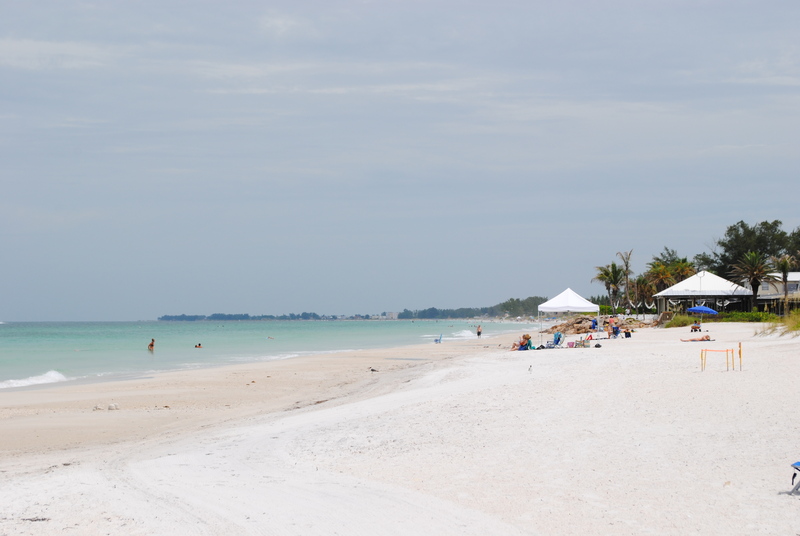 And the beaches are top-notch, ranking second in the nation in TripAdvisor’s 2011 Traveler’s Choice Best Beach Awards. A good night’s rest: Take a step back in time at one of the town’s charming Victorian bed-and-breakfasts or guest houses. Many are furnished in period antiques, and a few, including the Queen Victoria on Ocean Street, include afternoon tea on the veranda. Cape May also boasts several sprawling seaside hotels, such as the The Inn of Cape May (7 Ocean St.), a favorite for more than 100 years. We drooled over the landmark Congress Hall (251 Beach Ave.), built as a simple boarding house in 1816 and home to the town’s first post-Prohibition cocktail bar (in 1934). Presidents Grant, Pierce and Buchanan are among the celebs who’ve summered at this historic site, which recently was remodeled. Along with a sweeping lawn overlooking the ocean, today’s visitors enjoy a full spa, private beach cabanas in season and the elegant Blue Pig Tavern, famous for its seafood pot pie. We stayed at the more modern La Mer Beachfront Inn in East Cape May (www.capemaylamer.com), a comfortable if not particularly fancy low-rise hotel just steps from the Atlantic. Amenities included a granite wet bar with fridge and microwave, a heated pool and a seaside balcony. Tickle your taste buds: The all-day breakfast at family-friendly Uncle Bill’s Pancake House is just the start in Cape May. We had terrific double-wrapped blackened chicken tacos at Key West Tacos (479 W. Perry St., cash only) and equally delicious manchamanteles, a stewed chicken dish with pineapple and plantains, at Gecko’s on Carpenter’s Square Mall. For grab-and-go dining, Hot Dog Tommy’s on Jackson Street is a juicy slice of hot dog heaven; at lunchtime, the line at the window can stretch 20 or more people. Also worth a long wait in line are the banana-and-Nutella-topped waffles at tiny George’s Place (301 Beach Ave., cash only). A good cup of coffee, along with computers to check your email, can be found at MagicBrain CyberCafe on Perry Street. Get your kicks: One of the best times for a walk on the beach is just before breakfast, when fishermen are casting lines into the surf and quick eyes can catch dolphins jumping just beyond the breakers. Morning also is a good time to search the shoreline for Cape May “diamonds,” which look like translucent pebbles but are actually tiny quartz crystals. In an hour, we had a handful. If you plan on swimming, know there aren’t any lifeguards after Labor Day. Then again, you won’t have to cough up $5 for a beach tag. No worries about dragging beach umbrellas or chairs with you as both are available for hire (www.geareduprentals.com) through September. 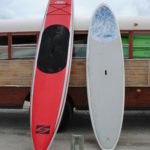 Visitors also can rent kayaks or jet skis or go parasailing; other activities include whale-watching, winery tours, horse-drawn carriage rides through town, and birding cruises and events such as the 65th annual Autumn Birding Festival, which this year runs Oct. 28-30 (www.birdcapemay.org). Kids will dig biking on the 2-mile paved boardwalk that runs parallel to the ocean and playing skee-ball at Family Fun Arcade (732 Beach Ave.). Grown-ups will enjoy the many stores and boutiques on the pedestrian Washington Street Mall (washingtonstreetmall.com). A must-stop is Fralinger’s, whose salt water taffy has been a favorite for more than 125 years. Another must-see is the nearly 158-foot-tall lighthouse on Cape May Point, built in 1859. The view from the top is to die for in more ways than one: You have to climb 199 steps up a spiral staircase inside the tower. We made the heart-pounding journey after dark via a Ghosts of the Lighthouse Trolley Tour (capemaymac.org; 1-800-275-4278), one of a dozen trolley tours offered by the Mid-Atlantic Center for the Arts & Humanities. No spirits were sighted, but there were plenty of mosquitoes; next time we’ll remember to pack bug spray with the sunscreen and beach towels. Travel time: A 2 1/2-hour direct flight to Tampa (southwest.com) followed by a 75-minute drive to the coast. 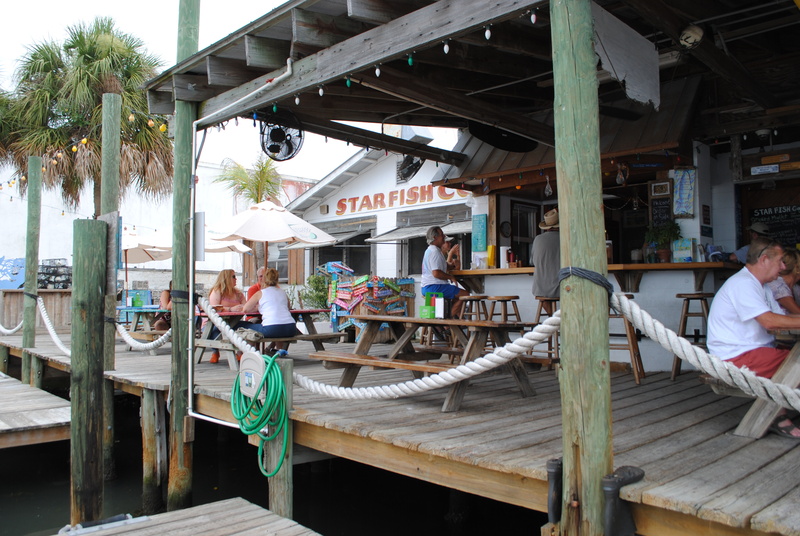 Nestled between Sarasota and Tampa Bay on the emerald-green Gulf of Mexico, Anna Maria Island oozes Old Florida charm, with slender sugar-white beaches, laid-back restaurants and funky mom-and-pop shops. The best part is its size, minuscule in comparison to touristy hot spots like Miami and Fort Lauderdale. It’s just 7 miles long and 2 miles at the widest, and you can ride a bike or scooter from one end of the island to the other. 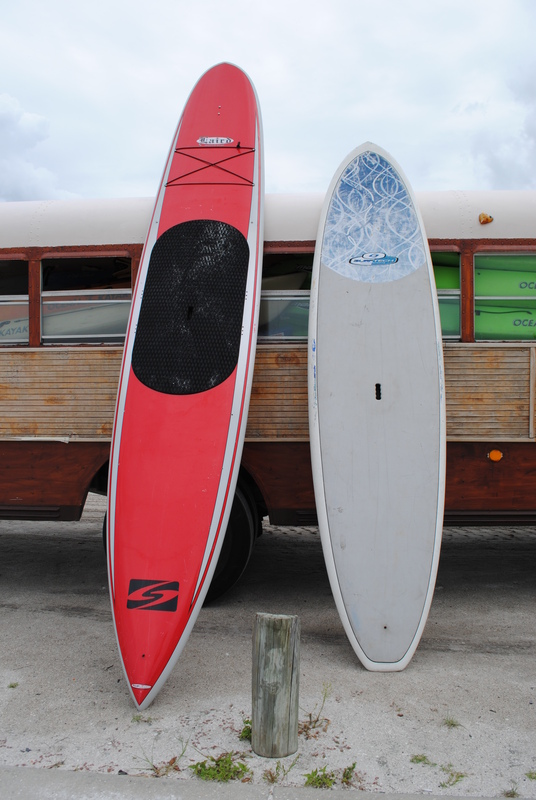 Or take the Anna Maria Island Trolley (6 a.m. to 10:30 p.m.) from Coquina Beach all the way to the public pier on the north side of Anna Maria City — it’s free. For the best dessert in town, head to Island Creperie, also on Bridge Street (bistrotfl.com). The St. Marteen crepes (banana, Nutella, whipped cream) are amazing. This charming little eatery also serves savory, meat- and veggie-filled buckwheat crepes for dinner and classic French sandwiches, quiches and salads. Tres bien. 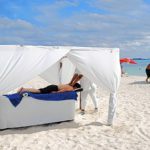 More spiritual pursuits include getting a massage in a private tiki hut ($60/30 minutes) or taking a yoga class on the beach (8:30 a.m. Sundays and Wednesdays, $10 donation suggested) with Island Wellness (1-941-779-6836; annamariabeachmassage.com). 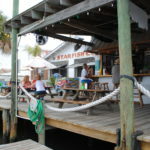 There’s also shopping on newly restored Historic Bridge Street in Bradenton Beach, a leisurely stroll on historic Pine Avenue in Anna Maria or feeding the manatees at the Parker Manatee Aquarium at South Florida Museum in nearby Bradenton ($15.95 adults/$11.95 children 4-12; 1-941-746-4131 or www.southfloridamuseum.org). Travel time: A 6-hour flight to Cancun (airtran.com), followed by a 20-minute shared shuttle to the terminal at Puerto Juarez or Gran Puerto. From there, it’s a 20-minute ferry ride to the island, during which you’ll be serenaded by local buskers. Bienvenidos: You know that Corona commercial where the couple imagine themselves on the sweetest beach you’ve ever seen? 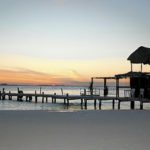 It could have been filmed on the “Island of the Women.” Barely 5 miles long and not even a mile wide, this former fishing village on the Caribbean Sea, in the Mexican state of Quintana Roo, is as laid-back as it is pretty to look at. If you like partying into the wee hours, you’re better off staying on Cancun. Not to say Isla isn’t also colorful — the main business district is jammed with small stores selling Mexican artwork, textiles and silver, and there’s also a lively restaurant scene. Buenos noches: Hotels come in all sizes and price ranges on Isla, and many are within walking distance of the ferry. 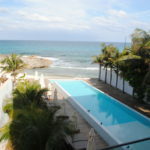 Ritzier ones include Na Balam and Cabanas Maria Del Mar on Playa Norte, the beach that runs on the northernmost part of the island, and Hotel Villa Rolandi in the middle zone, where it’s possible to arrive by yacht, and each of its 35 suites boasts an ocean view. 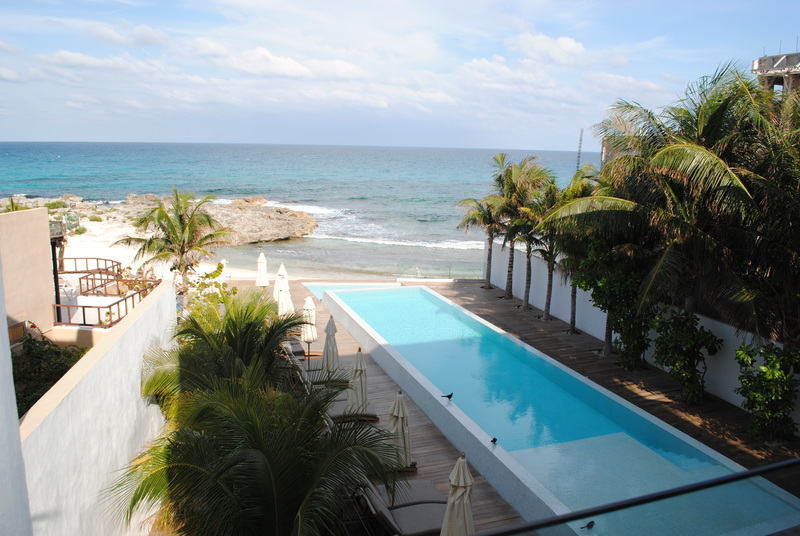 We were celebrating a pair of milestone birthdays, so we splurged on Hotel Secreto, a chic nine-room boutique hotel on the northern tip of the island. The secluded Halfmoon Beach outside our door was too rocky for swimming, but the lushly landscaped infinity pool and outdoor living area (there was a bed on the veranda) more than made up for it. Plus, breakfast was served in our room each morning. Not a bad way to welcome turning 50! If you’d rather spread out, it’s also possible to rent a private home or condo through homeaway.com, islabeckons.com or mundaca.com.mx. Bring your appetite: You can go as fancy or casual as you like with meals on Isla. Standouts include the fried grouper tacos, served with a crispy slaw and spot-on margaritas, at Bally-Hoo, a thatched-roofed dockside restaurant on Avenue Rueda Medina. We had terrific wood-fired pizza at Rolandi’s on Hidalgo Street in El Centro and the freshest-of-fresh seafood at Fayne’s, also on Hidalgo — my husband had grilled whole snapper while I opted for Caribbean spiny lobster. Also worth trying is a traditional dish called “tikin-xic” — whole fish marinated in achiote and then grilled. That was lunch during a snorkeling trip, served with spaghetti, rice and a cabbage salad. Yet the best meals may have been the breakfasts. At Loncheria Alexia y Geovanny, one of three tiny restaurants at the public market on Avenue Guerrero, we started our day with an amazing plate of huevos rancheros. At Brisas Grill on Avenue Rueda Medina, we were introduced to — and immediately fell in love with — chilaquiles, a traditional dish of fried corn tortillas simmered in sauce and topped with fried eggs and cheese. Get your beach on: One of the main island activities is snorkeling. We paid about $25 each for a four-hour trip that included snorkeling on the Manjones Reef, a visit to a turtle sanctuary, an opportunity to swim with dolphins and a barbecue lunch. We also rented a golf cart ($15/hour) and drove it to Garrafon Reef Park at the rocky southern tip of the island, home to an outdoor sculpture garden and an ancient temple honoring Ixchel, Mayan goddess of the moon. The next day, we pedaled bikes ($4/hour) to Garrafon de Castilla beach club, also on the south end (entrance is 50 pesos, or about $4), and spent a few happy hours snorkeling. If you’d rather chill out, Isla’s beaches are powder soft, gently sloping into warm, aquamarine waters; just be sure to slather on the sunblock and wear a hat because the Mexican sun is unforgiving. Without my Wallaroo scrunchie, I would have come home redder than a cooked lobster. 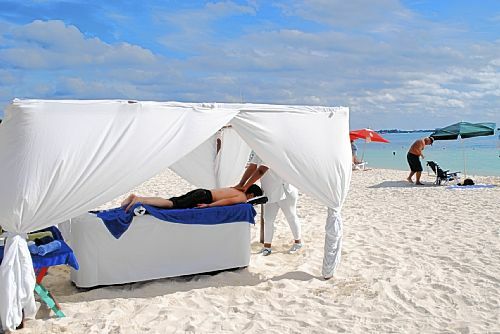 You also can get a massage, right on the sand, or take a poolside yoga class at Hotel Na Balam. Definitely make time for a cerveza or two — along with the Mexican sunset — at Buho’s beach bar on Playa Norte, where patrons can relax on swings and hammocks. Afterward, head to Hidalgo Street, which comes alive at night with a parade of street performers, strolling mariachi bands, fire dancers and trim men in black charro suits tap-dancing the jarabe tapatio.